Earlier this month, I played through the three scenarios in the Sticks and Stones module called "Poland Strikes!" from Yaah! magazine issue 4. This is a modern platoon-level tactical combat game from Mark H. Walker, the same designer of the World at War series, which had a similar theme. As I noted in my previous playthroughs, the design of Sticks and Stones is quite a departure from the World at War series in a number of ways. Having enjoyed playing both series, I wondered what brought Mr. Walker back to this genre again and what his plans were for this new series. Thanks for taking the time to answer my questions, Mark! HaH: What drew you to this particular theme? What is it about modern combat that catches your imagination? This is a playthrough of the third and final scenario from the module "Poland Strikes" from Yaah! magazine issue 4. In this scenario, the Poles and Hungarians have a final showdown as the Polish army invades Hungary during the chaos of nuclear and conventional war in 1980s Europe. In the scenario, the Poles absolutely positively must control all city hexes of Ralocsa to win. The Hungarians need only to prevent this from happening. Neither side has it easy though. The Hungarians start off with only a skeleton force of defenders. One new platoon of AFVs arrives each turn, drawn randomly from a cup. 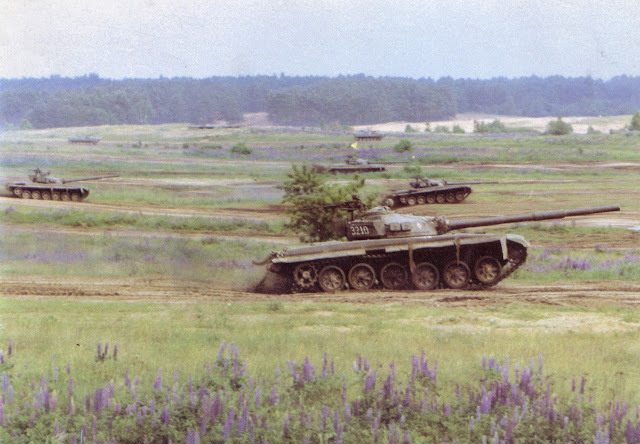 The Poles, meanwhile, have 10 T-72s and several BMPs and infantry to do the job but they must enter from the north and approach the city in largely open terrain. 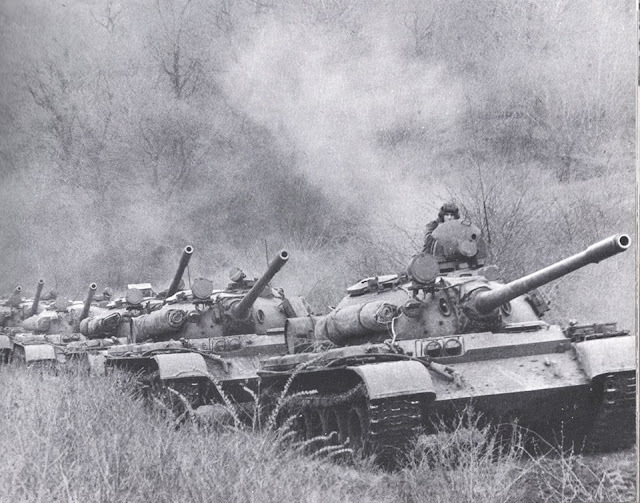 Three Polish infantry platoons and a couple of OT-64s set up on the east side of the river. Setup: The Poles can't do much during setup here but they get one infantry platoon with a Sagger in Zelin. Today, I thought I would recap the action in another scenario from Poland Strikes! - a module for Mark H. Walker's Platoon Commander / Sticks and Stones series. Published in Yaah! magazine issue 4, this game features a matchup between Poland and Hungary while World War rages in Central Europe following a nuclear exchange between the US and Soviet Union in 1987. Got it? Okay, let's get down to it! In our first scenario, 861, the Poles invaded Hungary along the axis of Highway 861 and were roundly defeated by the Hungarians in the first play and then brilliantly successful in my next playthrough. This time, the Hungarians are on the offense and trying to take back three cities held by the Polish army. Capturing the cities to the east of Ralosca (Batka, Sonok, and Zelin) gives the Hungarians a decisive civtory. The Poles win if they maintain their defensive hold and can manage to capture one hex of Ralosca. Poland Strikes! is a wargame included with Yaah! magazine issue no. 4 published in November 2015. 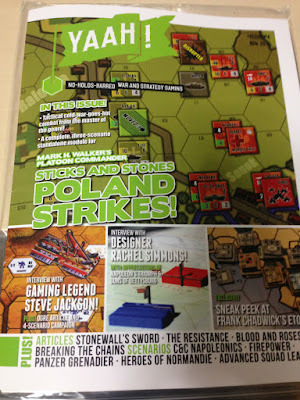 Although it uses the same rules as Mark H. Walker's Platoon Commander - Sticks and Stones series, Poland Strikes! is a standalone game with three scenarios. The backstory here is that the Soviets and Americans finally got it over with and went to war in 1987.World War 3 began and ended with a nuclear exchange that wiped out billions and left civilization in tatters. After the dust cleared, both nations simply renewed their fight - this time with conventional forces. No one could have guessed that World War 4 would begin on The Day After.